Does drawing moo-ve you? 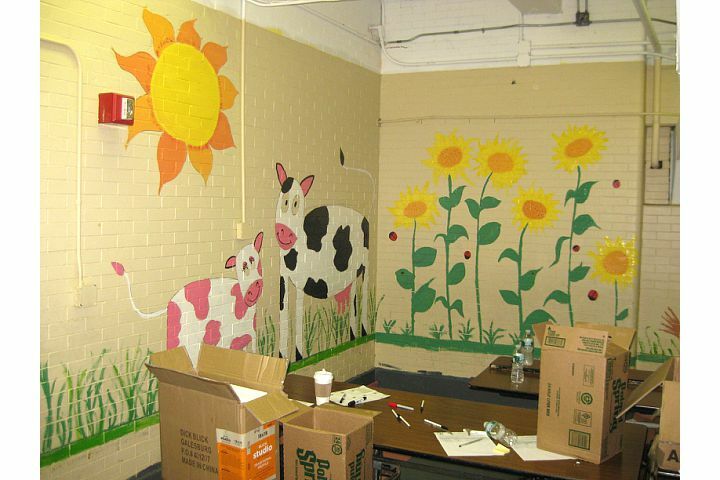 If sow, join the Jersey Cares Mural Artist Program. 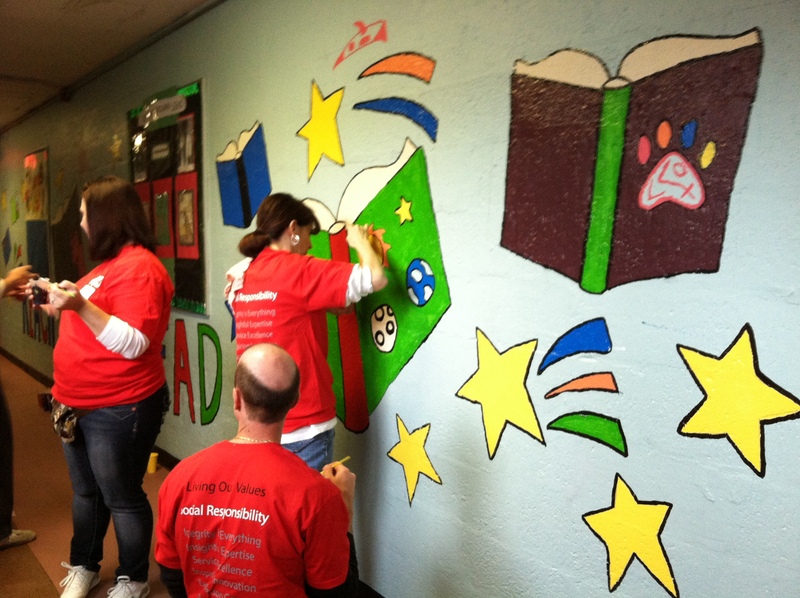 These ADP Volunteers made sure to paint every book and cranny of this mural at an elementary school in Newark, NJ. To learn more about how to get your company involved with Jersey Cares, click here. Take note at the great job these Martin Luther King Day of Service Volunteers did on this mural for an agency in Newark, NJ. Music not your forte but drawing is? 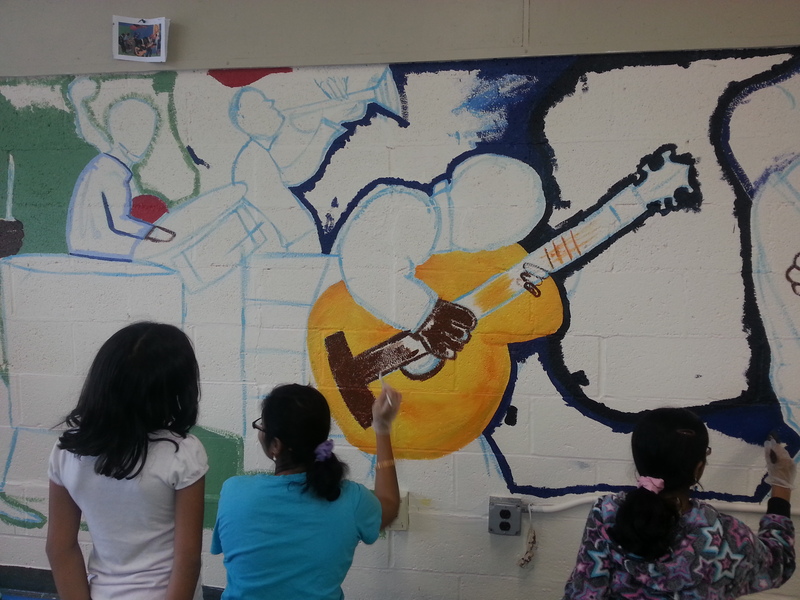 Join the Jersey Cares Mural Artist Program! These volunteers went overboard on this under-the-sea themed mural at a school in Jersey City, NJ. Their finished work got the students’ seal of approval! See what fine work can be accomplished when everyone pigeons? 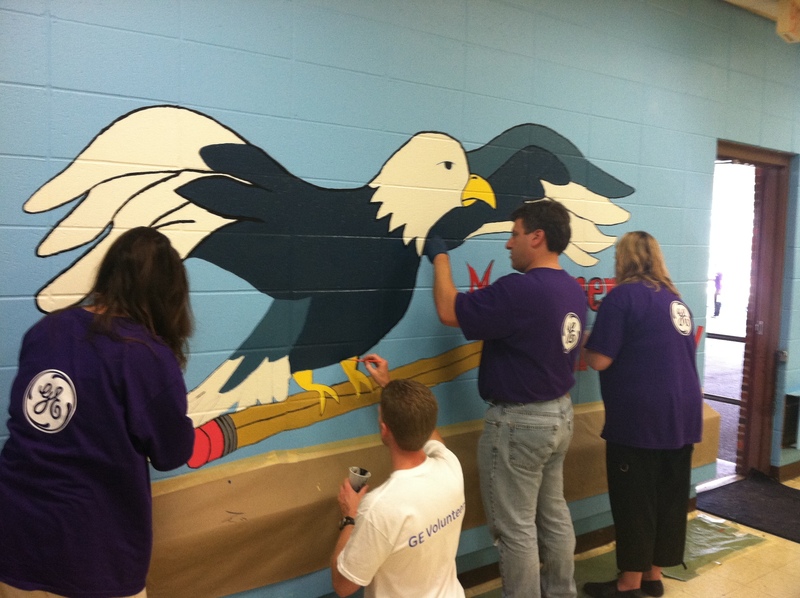 These GE Healthcare volunteers flocked together to paint this great mural at an elementary school in Trenton, NJ. This Deutsche Bank volunteer has a passion for painting the town and these benches red!